If you have ever heard of Pelican in the past, you know that they do not joke around when it comes to the quality and strength of their products. That same guarantee and level of strength has indeed carried over with their Pelican U100 Laptop Backpack. The Pelican U100 is huge and heavy coming in at 15.5 x 10.5 x 1.5 inches and is in the vicinity of 9 pounds. By no means is the backpack meant to be used as a regular school backpack but when it comes to protection for your electronics while travelling, the U100?s dimensions are perfect. For additional laptop protection, the U100 includes a spacious waterproof and crushproof section which can hold a 15-inch laptop and 17-inch Macbook. While the backpack might be waterproof, I would not recommend going diving with it since the bag is only guaranteed up to 3ft underwater for 30minutes. Therefore, you will not have to worry about your electronics if you drop the backpack in a puddle or carry it through the rain. Even though there is less protection around the other main compartments of the U100, Pelican did include a impact protected section in the front, with room for a tablet. This section only appears to be suited for iPad’s and other small form-factor tablets. One of the other awesome design features of the U100 is that it includes tons of room for regular books or other electronics with a 16 Liter compartment. After using the Pelican U100 for almost a month, I must say that it is one of the highest performing backpacks I have ever used. 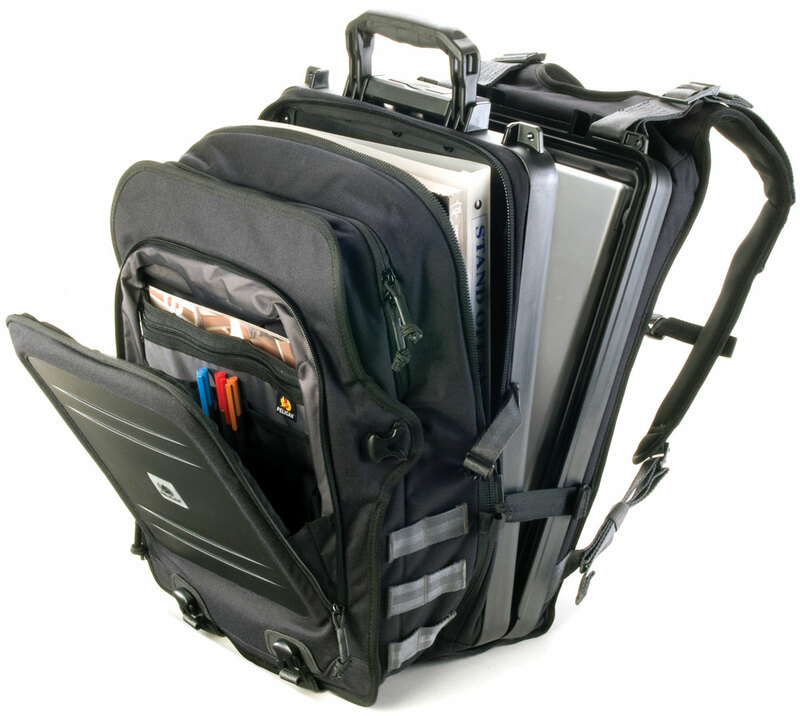 The one main issue that I see with the backpack is that it is extremely heavy, so after adding any books or even a bulkier laptop to the bag, it will end up weighing over 10 pounds. The design was great however and the S-curve back felt significantly better than previous backpacks I have used, even with more weight. As far as being waterproof and shock proof, I did use the backpack in the rain without any water entering the laptop section. Plus, after hitting the sides of the laptop area and even the hinges, the case stayed shut and my laptop was perfectly protected. I knew that the Pelican U100 would definitely be a high-quality backpack after seeing some of their previous products in action but I did not expect it to perform as well as it did. Even with the heavier design, the U100?s ergonomic features distribute the weight to keep the backpack feeling comfortable. As long as you do not plan on using the U100 for college or for carrying loads of books, you will definitely be happy with this Pelican backpack.